At last, tools for the Yiddish typist. Courtesy University of Washington Libraries, Special Collections. 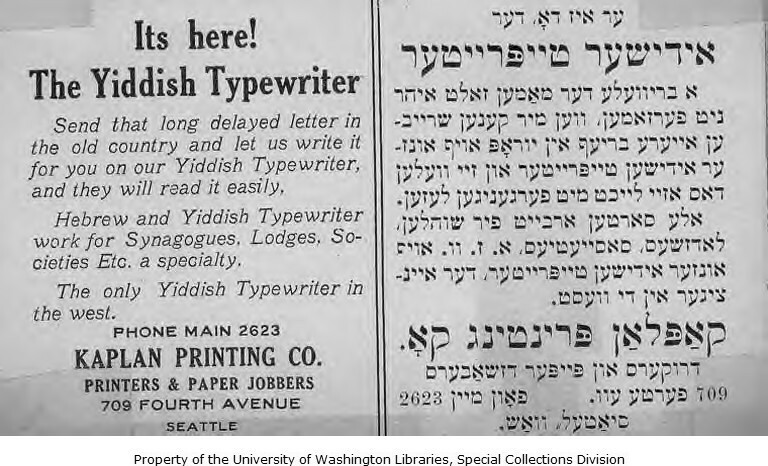 Via this wonderful post on the history of the Yiddish typewriter. When Richard J. Fein, translator of Avrom Sutzkever’s Siberia, sent us a typewritten manuscript in a physical envelope via the postal service (perhaps the first such submission that In geveb has ever received), we assumed it was another translation. The modernist feel of the poem, the unspooling single sentence, and how it engages the question of nostalgia without stewing in it. But there was no Yiddish original! Lucky us to receive so rare a thing: a contemporary piece of modernist English-language Yiddish poetry. 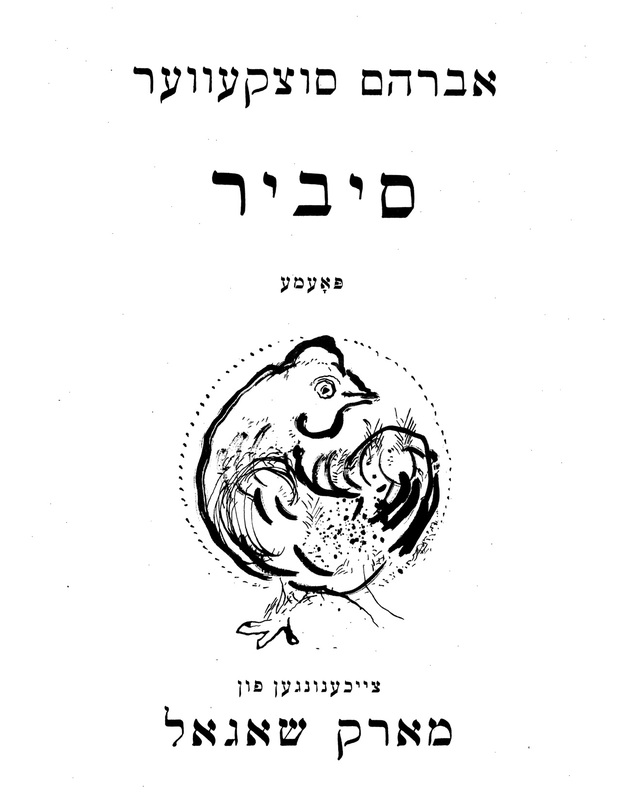 When we emailed Fein to ascertain authorship, he replied “Ikh bin der poet, nisht Sutzkever.” Fein’s original poem, Yiddish Moves, moved us — and so we’re glad to present In geveb’s first piece of original English-language poetry, and to present our first attempt at English-language zetsn, via this act of cultural-historical translation. Click here to download a PDF of the original typewritten poem. even as you, Yiddish, were slipping away, left only to flavor America. Fein, Richard J. “Yiddish Moves.” In geveb, April 2018: https://ingeveb.org/blog/yiddish-moves. 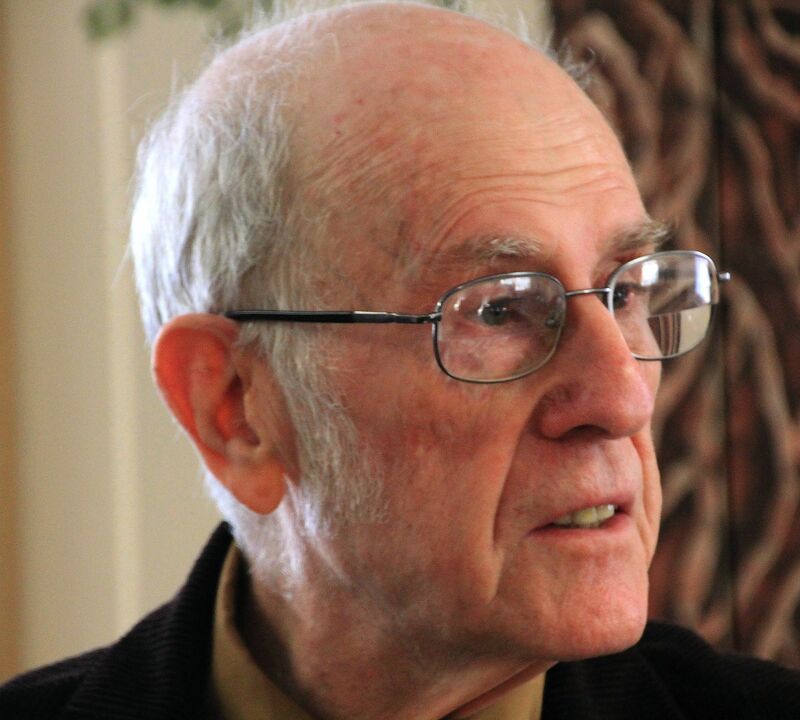 Fein, Richard J. 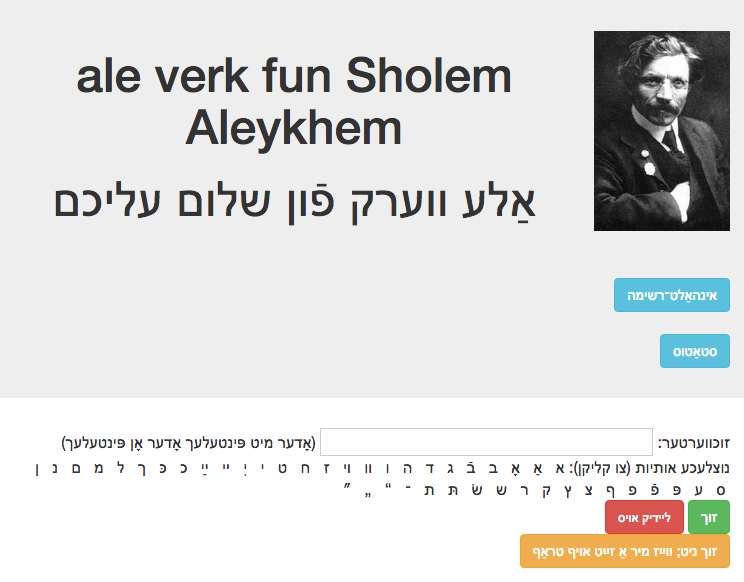 “Yiddish Moves.” In geveb (April 2018): Accessed Apr 22, 2019.